All work has now been completed on the Centenary Scramble at Topstones. New wood chippings have been laid and mats have also been replaced. All of the obstacles are now ready for use and we have also added several new ones. We are delighted with the result and we hope to have some photos up very soon. This is a e-bulletin covering the changes to A Safe Space and what they mean to you. 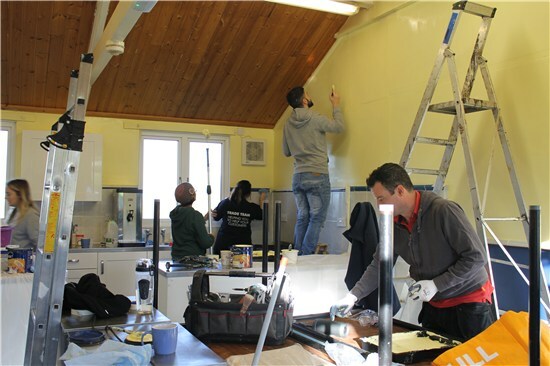 A group of volunteers from the commercial section of Topps Tiles, lead by Kevin Bingham, worked from 8.30am to 4.30pm on a Wednesday in November to completely emulsion and gloss the rooms in the Chalet. 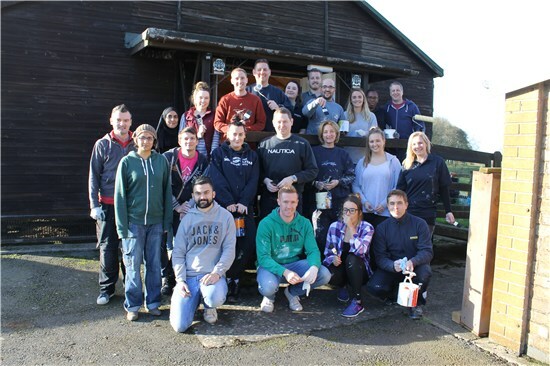 They were recruited through Leicestershirecares which is an organisation that matches projects with volunteers. 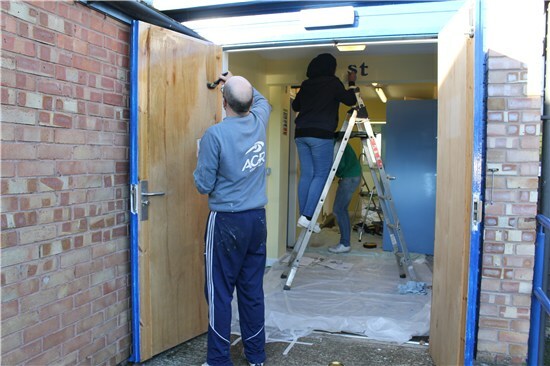 They not only did the work but also kindly provided all the paint etc. 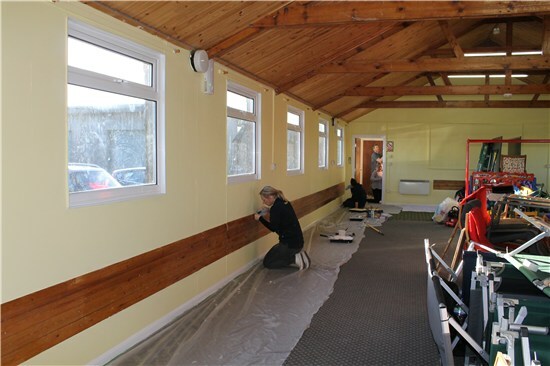 We are delighted with the result and would like to thank the team for their sterling work which has made such a difference to the Chalet. Whilst they were doing this the curtains were taken down and cleaned so that the Chalet now GLOWS!!! Do you visit the shop on a Saturday morning? If you do, you may at some time have met the smiling face of Margaret Roff. Margaret has been volunteering with Guiding Essentials (our shop) for no less than 50 years and now feels that the time has come to hand this role onto someone younger. Could that be you? We are not asking for commitment for 50 years! Just one Saturday in three during term time. 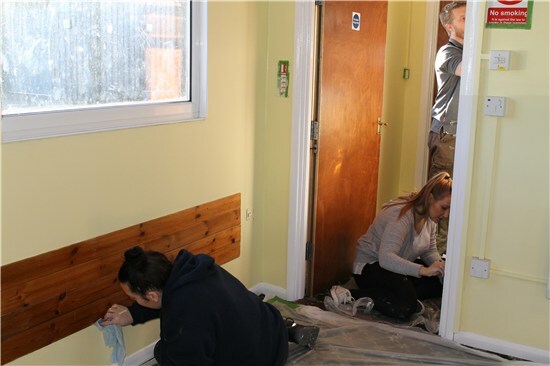 This would mean joining a team of three volunteers who are there to serve the customers, mainly leaders and parents and children buying uniform, between 10.00 am and 1.30 pm. We are always looking for new volunteers at the shop, if you can give some time, or simply would like to find out more, please get in touch using the Contact form. Girlguiding are currently preparing GO for launch on 29 August. From 1 August at 1am both Join Us and Go! are read-only until we launch on 29 August to ensure the information recorded can be transferred as smoothly as possible. You can still make contact with your members and enquiries, you will however, need to wait to update any records on the system until GO is available; e.g. Adding a new girl to your unit, changing an email address for a member. As you can see we're now moving full steam ahead towards our August launch of our upgraded system (GO). We've shared some of the key improvements on our systems upgrade webpage, if you've not had a chance to take a look then please use the following link (www.girlguiding.org.uk/systemsupgrade) to get an idea as to what's coming. When the Department of Genetics and Genome Biology at our University celebrated International Women’s Day, they didn’t know they would end up helping local girls to find out what a baby ladybird looks like up close. As part of their celebrations, the Genetics Equality and Diversity Initiative (GEDI) organised a cake and book sale to raise funds for WAGGGS (World Association of Girl Guides and Girl Scouts), the official charity of International Women’s Day. 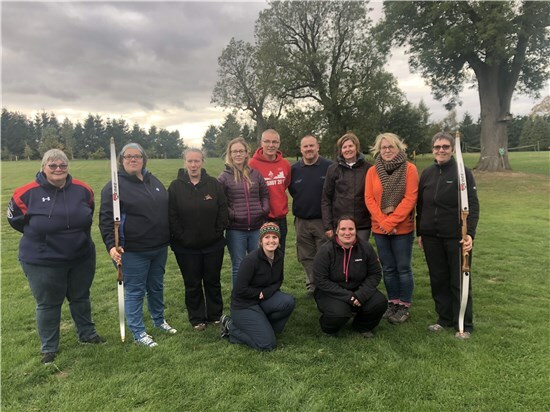 Rather than donate to the international WAGGGS organisation, they asked local Guide Leaders Dr Alex Woodacre and Dr Ruth Barber (both former members of the Department of Genetics and Genome Biology) how best to help local Guiding directly. 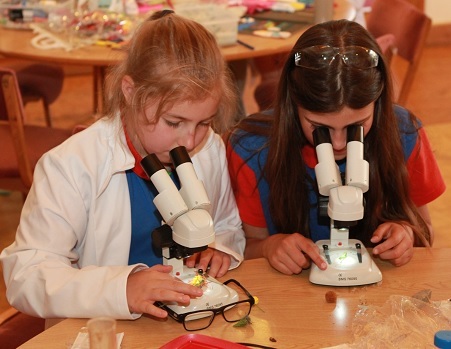 Alex and Ruth suggested the purchase of a set of lab coats and safety goggles in child sizes that would help to bring science alive for the girls and young women in Guiding. The lab coats and goggles will make up part of a Science Box available for use by all members of Girlguiding Leicestershire and these resources will make STEM (Science, Technology, Engineering and Maths) activities more accessible for leaders without any science background or training, encouraging more participation in science by the girls and women of Leicestershire. 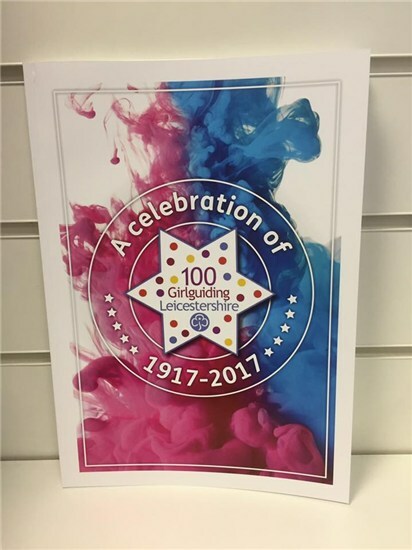 100 years of Girlguiding Leicestershire caught in photos and snippets from patrol log books, minutes of meetings and memorable badges. It's available in the shop now for £7.50.